If there's so little profit, why do people buy 7-Eleven franchises? Convenience store chain 7-Eleven has been in Australia since 1977. It has twice been Australia’s “Franchisor of the Year”. If the franchisees really can’t make a buck without underpaying their employees why do they buy a 7-Eleven franchise? Franchises are regulated under the Competition and Consumer Act, and the mandatory Franchising Code of Conduct. The Code has undergone multiple reviews since it first appeared as a voluntary code of practice in 1993. Regulators still struggle to achieve a balance between encouraging entrepreneurial franchisors and providing some safeguards for franchisees. Franchisees cannot sign a franchise agreement until they have had the franchisor’s disclosure document for 14 days. After signing, they have a 7-day cooling off period during which they can terminate the agreement and walk away. This adds up to a 21-day window for franchisees to conduct due diligence. Did the prospective franchisees do due diligence before they signed their 10-year licences to operate a 7-Eleven store? If so, why didn’t they figure out within the 21 days that joining the system could require them to be complicit in wage fraud? Why not choose another brand? A pilot study comparing franchisees with independent small businesses found that most franchisees do some pre-purchase due diligence. The disclosure document contains current information about the franchisor, the system and the specific franchised business. Because it is provided to comply with the law, it can give franchisees a false sense of security. In reality, it is only a starting point. Conducting due diligence is not as easy as it sounds. 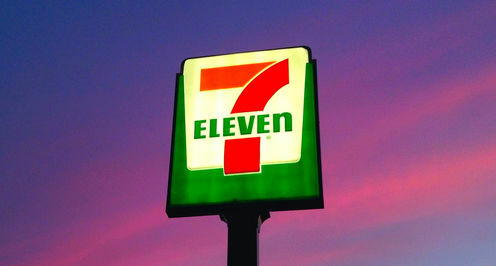 Franchisees need to ignore the halo effect of a well-known brand, like 7-Eleven and be objective. Family, friends and the internet can only take due diligence so far. Advice should come from lawyers and accountants who understand franchising very well and access alternative sources of information to provide context for what is in the disclosure document, both of which require money and time. Finding specialist advisers is not easy, especially if you live in regional Australia. All franchise systems are a complex mix of relational contracts, absence of corporate governance, and massive asymmetry. Every aspect of every franchisor’s business can be structured slightly differently. Having read a disclosure document a franchisee should visit the workplace of current franchisees. Over half in our pilot study did consult existing franchisees, but these franchisees may not tell the truth. They may fear retribution from the franchisor, may be trying to protect the value of their own business by not admitting how bad it is, or may be “gagged” by a confidentiality agreement following a mediated settlement. Lawyers, accountants, and information from ASIC cost money. No franchise documents need to be filed in Australia so advisers can’t contextualise, and even if franchisees don’t like the proposed agreement, most franchisors won’t amend it. Very few franchisees (1/30 in our pilot) do due diligence on the franchisor. Sometimes they can’t learn more than the franchisor wants them to know. For example, the company behind 7-Eleven in Australia is a large proprietary company that has been exempt from lodging accounts with ASIC since 1994. Many franchisors operate through private trusts. Where a business is operated through a trust it is virtually impossible to research who the true owner is. If you don’t know that then it is hard to get information beyond what is in the disclosure document. Court cases can be a source of information but franchise disputes are mainly resolved by mediation. This is a private process so it is impossible to find out about disputes in a system, if there are any. Franchisors can change the system at will, so even if a franchisee does thorough due diligence this might not help them during the relationship. Franchisors and franchisees sign a relational contract – that is a contract that should provide sufficient flexibility for the relationship to evolve as the needs of the business alter, but always respecting the underlying business relationship. The franchise is created by the franchisor, for its benefit. Franchisors can outsource risk and responsibility to franchisees while retaining the rewards. All the legal power in the relationship is held by the franchisor. The franchisor drafts the agreement, sets the tone of the relationship, approves suppliers, and can change the operations manual. Even the Code (Division 5) favours franchisors by giving them rights to terminate that are not mirrored for franchisees. If a franchisor commits a crime, fails to pay franchisees money owed, goes broke, risks all on a doomed expansion, franchisees have no right to terminate the relationship. The financial power is held by the franchisor. Franchisees are likely to have invested every last cent into the business. The sunk costs can only be recovered if the franchisee manages to sell the business. Franchisors also hold a lot of psychological power. From the moment a prospective franchisee falls in love with the franchisor’s brand it is difficult to dissuade them from proceeding. Franchisors hold all of the information about franchisees’ businesses so can see each franchisee in context of the whole system. This absence of context disadvantages franchisees in all franchisor-franchisee negotiations. Every aspect of a franchise relationship is profoundly asymmetrical. It can work superbly when a franchisor and its franchisees share common motivations, otherwise it can be a nightmare. Franchisees buy into 7-Eleven because franchising offers standing in a community, work and the opportunity to hire family members. Unfortunately in many cases they buy in because they were never able to access information that would alert them to any flaws in the system.